This election year, two Democrats are vying for an opportunity to defeat incumbent Andy Biggs. One is Joan Greene and the other is the subject of this interview, Jose Torres. Below are Torres’ responses to a series of questions regarding the issues facing the people in the district and how he would act as the district’s next Representative. Arizona Congressional District Five contains all or parts of Mesa, Gilbert, Queen Creek, and Chandler. The district has been solidly Republican since 2012. Incumbent Andy Biggs is a former State Senator and current Freedom Caucus Member. This “public servant” has distinguished himself by supporting and fighting for policies that do not benefit the public. On issues ranging from Children’s Health Care to a woman’s right to choose to Medicaid Expansion to tax cuts for the rich, Biggs has continually embraced the causes championed by Dark Money special interests and reactionary conservatives who want to destroy the government they were elected to serve in. What are three local issues the people in this district view as needing to be addressed? “Immigration – we need a guest worker program so that businesses can continue to use quality/needed labor while fully accounting for the costs in an open manner, thereby relieving social anxiety for all and pull people out of the shadows. Please describe two ways you can address these issues better than your opponent? How would you rate yourself as a potential legislator and how would you rate your opponent’s current performance as a legislator and please give at least two reasons for both parts. What are at least two personal qualities you offer that your opponent does not? “I treat everyone with Respect – enough to talk and listen to everyone, even people who don’t agree with me” and offer different ideas and perspectives. Would you but this district in the Liberal Progressive or Pragmatic Progressive Camp or Centrist? What is your view and proposals on the following issues? “Eliminate, or at least, pause where they are at to see if any are creating value at all. NEED ACCOUNTABILITY – fully account for public money and what it is spent on, and private money, and what it is spent on. The Tax Cut Passed last year. “The 2018 Tax bill leaves future generations with loads of debt. I propose we claw back some of that cut to lessen the debt in a way that incentivizes more collective benefit for whatever we don’t claw back. What should be the top tax rate? Your views on how to improve the state and national economy. Obamacare, Medicare for all, or something else? “All Answers depend on the timescale and who is President. 2019-2020 – Fix Affordable Care Act (Obamacare). Improve – people’s lives are at stake.” He believes Trump would sign this measure because of his transactional nature and desire to be reelected. Trade: Please explain your views. Do you favor free trade or protectionism; N.A.F.T.A. and W.T.O. Reducing Poverty and Homelessness like affordable housing, food stamps, work requirements, and raising the minimum wage and earned income tax credit. Sentencing for Criminal Reform: should people get harsh sentences for non-violent crimes. “A public service message on trigger locks and gun safes, etc”. Do you support a wall? Foreign Relations with Mexico and South American Allies. Our membership in the United Nations. Are there any issues not mentioned that you feel need to be addressed this election cycle and why? Is there anything else you would like the community to know about you as you prepare for this election season and please explain? Please describe at least three marketing methods you are employing to convince voters you are better in the position you are running for than your opponent. 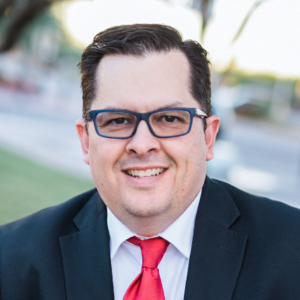 Jose Torres is a very knowledgeable candidate who ably articulates a technocratic, practical, centrist, and utilitarian approach to legislating and governing. In a conservative district like CD 5, it is a message that may resonate with people that want a progressive that believes in incrementalism. All forward-looking voters should consider him this election season. For more information about Jose, please research the sites below. Next articleAre the Russia Dots About to Connect?